Are you interested in the hotel's latest events and special offers? 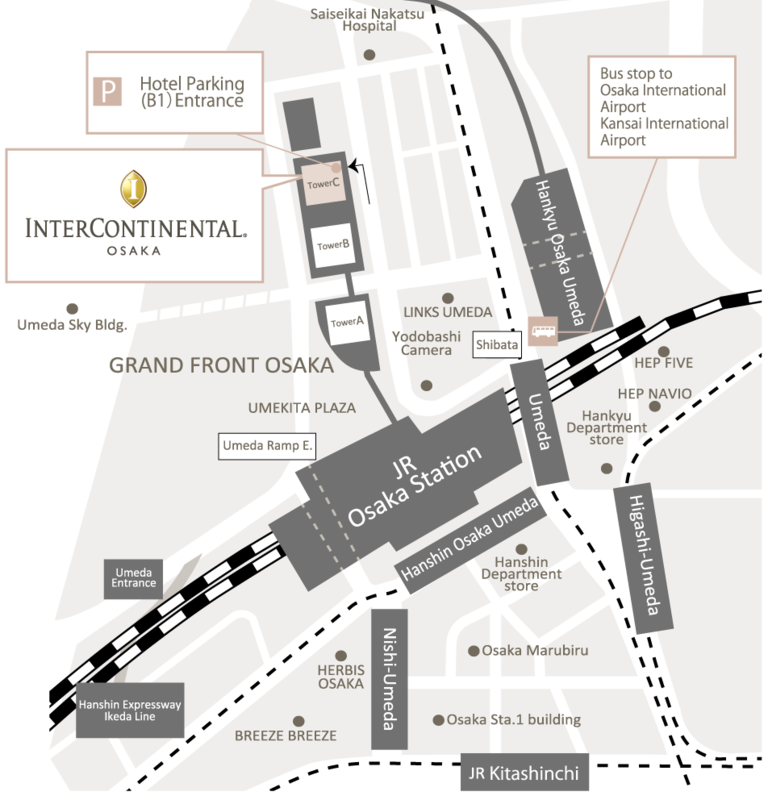 InterContinental Osaka has set the purpose of use of personal information as only contacting and providing information for you, we shall not use it for any purpose other than this originally agreed. The information sent by this website is protected by SSL through the networking security. Also, we will openly indication that the personal information will be collected. Find here more details. Hanshin Expressway No. 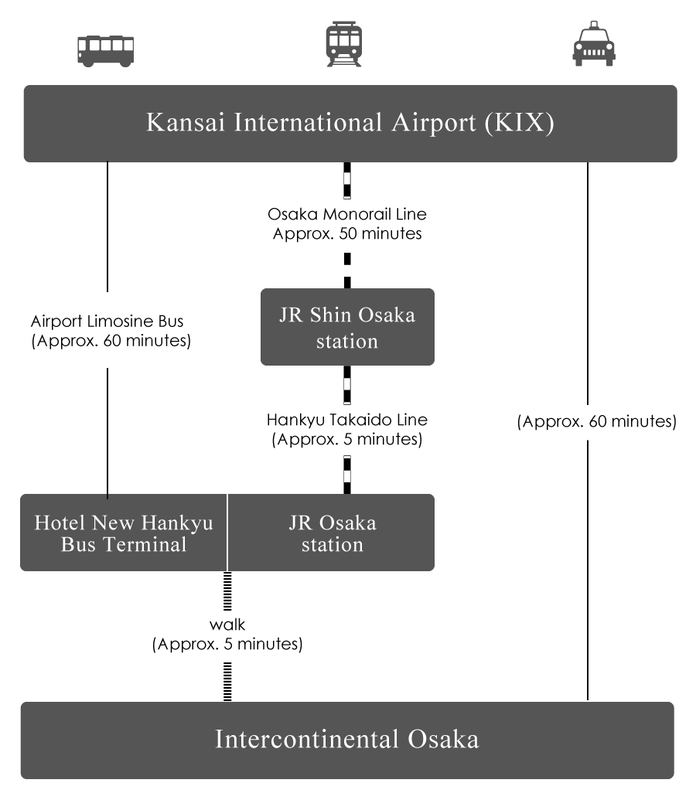 11 Ikeda Route, 3 minutes from Umeda Junction Hanshin Expressway No.3 Kobe Route, 15 minutes from Ebie Junction Guests coming from other routes on the Hanshin Expressway should use the loop line to get to the No.11 Ikeda Route and then take the Umeda Junction. A car park service is provided free of charge for two hours for customers spending 3,000 yen or more at the restaurants, or four hours for customers spending 6,000 yen or more. Guests: Vehicles with a height of up to 2.1m may be accommodated. The cost per parking space is 3,800 yen per night while staying at the hotel (15:00 to 11:00). Please proceed toward the Central North Exit of JR Osaka Station. please go up to the second floor (to Grand Front Osaka). After arriving at the second floor, the sky bridge leads to Tower A of Grand Front Osaka. Stay on the sky bridge all the way to Tower B.
and proceed straight through Knowledge Plaza. The entrance to the hotel (Tower C) is on the right side.